Acetaminophen 80 Mg Fruit Chew by Reliable 1 Laboratories Llc is a pink rou tablet about 10 mm in size, imprinted with ap;051. 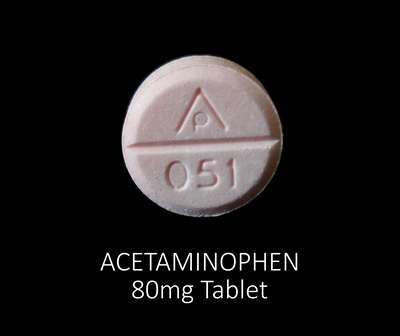 The product is a human otc drug with active ingredient(s) acetaminophen. Imprint: AP;051 What is the Imprint?